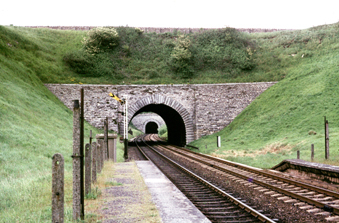 Upwey Wishing Well Halt, Weymouth - 31st May 1967. 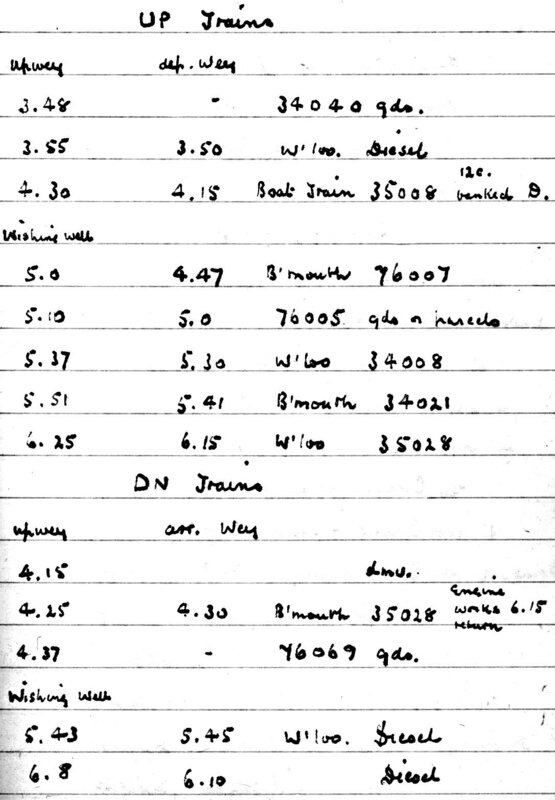 Upwey Wishing Well Halt, Weymouth - 3rd July 1966 & 31st May 1967. 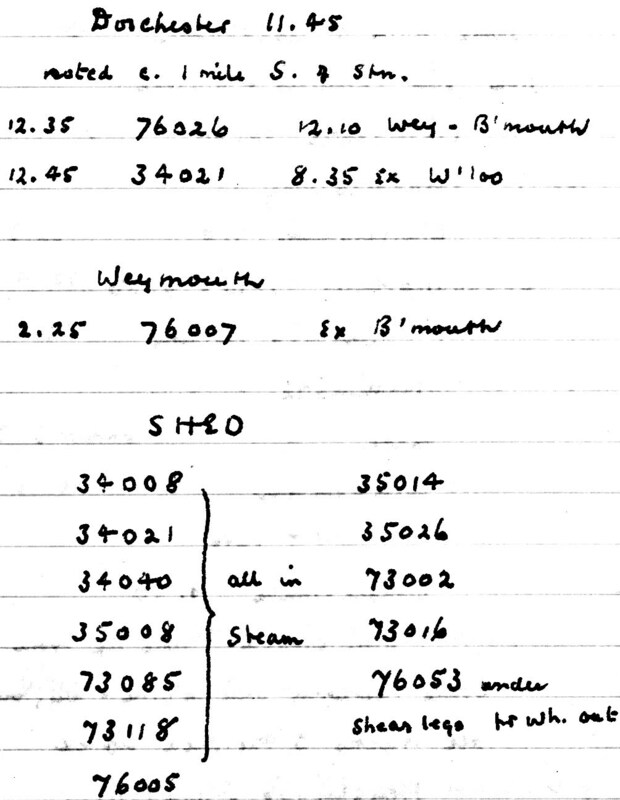 Whilst main line BR steam lasted until August 1968 it was never the same for me after SR steam finished in July 1967. I would sit on the top of the abutments of the first Bincombe Tunnel on summer afternoons and see steam train after steam train. A) 45493 & 34002 ascending Bincombe Bank with the Green Arrow rail tour on 3/7/66. B) 34008 ascending Bincombe Bank - 5.37pm 31/5/67. C) 34021 ascending Bincombe Bank - 5.51pm 31/5/67. D) 76005 ascending Bincombe Bank - 5.10pm 31/5/67. E) 76007 ascending Bincombe bank - 5.00pm 31/5/67. Click here to see the actual movie footage taken at the time of D) & E) plus a sequence of 76069 taken on the same day coupled to a BR1F tender. 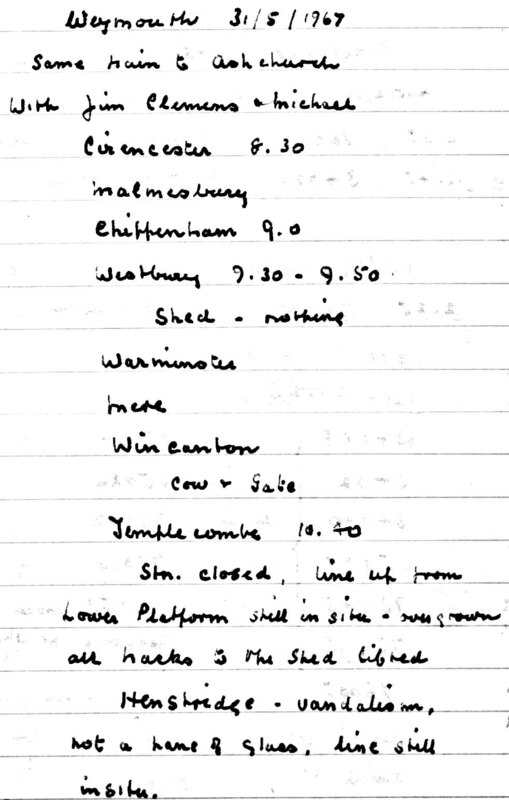 Below is Eric Parker's diary for 31/5/67.